Reed Travel Exhibitions, the organiser of the annual Arabian Travel Market showcase in Dubai, has launched the Arabian Travel Week - an umbrella brand comprising four co-located shows. 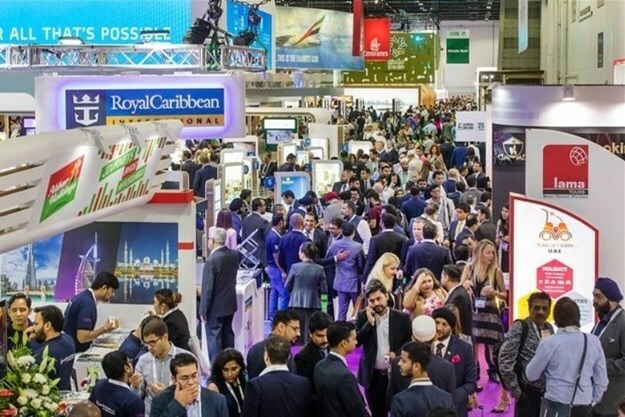 Taking place at the Dubai World Trade Centre from 27 April-1 May 2019, the event will comprise ATM 2019 and ILTM Arabia as well as CONNECT Middle East, India and Africa 2019 - a new route development forum launching this year and ATM Holiday Shopper which is a new consumer-led event. Danielle Curtis, exhibition director ME, Arabian Travel Market, said: "The success of both ATM and ILTM Arabia has provided us with the platform to not only introduce two new events for 2019 – but to create a travel week which encompasses the Middle East’s inbound and outbound markets for general leisure tourism and luxury travel as well as providing a dedicated networking forum for the region’s top airline specialists, aviation authorities, tourism boards, airports and tour operators." According to the World Travel and Tourism Council (WTTC), the direct contribution of travel and tourism to the UAE’s economy is predicted to rise by 4.1% per annum to AED 108.4bn by 2028. "Building on these figures, we are confident Arabian Travel Week will be a key driver in bringing top international destinations to the attention of the Middle East’s travel trade and consumers and equally, marketing the Middle East to strategic overseas tour operators and travel professionals," said Curtis. ATM will showcase over 2,800 products and destinations from around the world to over 28,000 buyers and travel trade visitors. This year’s show will place a spotlight on cutting-edge technology and innovation, integrating the theme across all show verticals, planned activities and seminars. Taking place on Tuesday, 30 April and Wednesday, 1 May 2019, CONNECT Middle East, India and Africa will bring together airports, airlines and aviation suppliers in a format that offers formal one-to-one pre-arranged meetings, engaging industry seminars as well as social opportunities to cement relationships with existing clients and engage with new ones. Also new for 2019, ATM Holiday Shopper will take place for one day only on Saturday, 27 April 2019. The event will showcase over 30 travel and hospitality exhibitors from regional and international destinations who will be offering the very best travel and tourism discounts and deals exclusively for consumers attending the show. The International Luxury Travel Market Arabia (ILTM), now in its third year, will allow international luxury suppliers and key luxury buyers to connect via one-to-one pre-scheduled appointments and networking opportunities. Curtis added: "Arabian Travel Week provides a renewed focus for the Middle East’s Travel and Tourism sector – under one roof over the course of one week – shining a spotlight on Dubai, the UAE, GCC and the wider MENA region’s burgeoning hospitality industry." Other highlights taking place over the course of Arabian Travel Week include the UNWTO Ministers Summit which will be held on Sunday, 28 April on the Global Stage; the Hotel Industry Summit; The Global Halal Tourism Summit and a Saudi Arabia Tourism Session.